According to the National Intelligence Service (NIS) of the Republic of Korea (ROK) the balance of forces between the South and the North is listed below. North Korea possesses a total of 996,000 ground forces in twenty corps units (12 infantry, 4 mechanized, 2 artillery) plus a light Special Forces command, which oversees special warfare units. Its heavy equipment consists of 3800 tanks (T-55, T-62, T-72, light tanks), 2270 armored personnel carriers, and 11200 pieces of field artillery, with a major percentage self-propelled for purposes of speedy artillery support. The units are geared for mechanized warfare reminiscent of the Nazi blitzkrieg. Last but not least, 100,000 Special Forces troopers stand ready to engage in sabotage behind the lines, sowing confusion and turning the whole ROK into a battlefield. 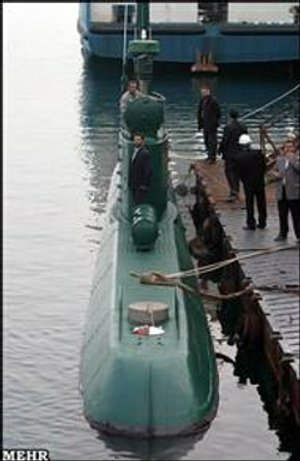 The DPRK Navy is divided into East Sea (10 squadrons) and West Sea fleets (6 squadrons) with a total manpower of 48,000. North Korea’s fleet consist of approximately 430 combat vessels (Patrol craft, guided missile boats, torpedo boats, fire support craft), 40 submarines (15 midgets), and 340 support craft (landing craft, hovercraft). Like the ground forces 60% of the vessels are stationed near the demarcation line. North Korea has constructed and is operating up to 130 hovercraft, each one capable of transporting a special forces platoon and operating freely in difficult terrain such as tidal flats, and able to be used for multiple landings by special forces troops at the onset of the war. The air force has a total of six divisions (103,000); 3 for combat (fighter/bomber regiments), 2 for transport and helicopter, and one devoted exclusively for training. Most of the 1670 aircraft are obsolete, with only sixty modern aircraft (MiG-23, 29). The mainstays consist of 470 old Soviet aircraft (MiG-19, MiG-21, IL-28, SU-7, SU-25) and 320 of ancient type (MiG-15, MiG-17). But it does possess a whopping 820 support aircraft and helicopters. 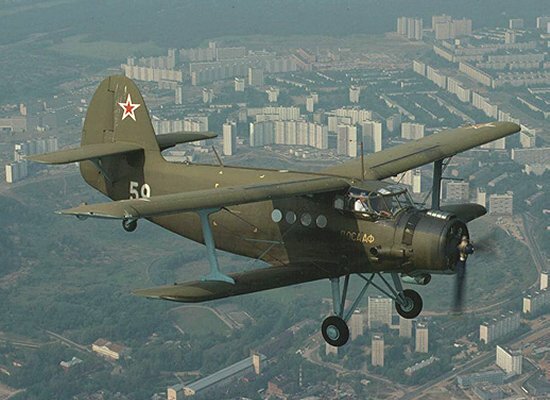 The aircraft that causes the most concern is the 300 AN-2, flying at 100 mph at low altitudes, that makes detection by radar very difficult, and its transport of Special Forces troopers deep behind the lines is a very definite threat. The NIS provides the following comparison between the forces of the two Koreas. North Korea’s regular army consists of 4 corps in the front area, 8 corps in the rear area, one tank corps, 5 armored corps, 2 artillery corps, and 1 corps for the defense of Pyongyang, a total of over 80 divisions and Brigades. Almost all of these forces are based near the DMZ and require little time to be ready for an offensive. In fact because the North Koreans maintains these forces on a continuous state of alert there will likely be little appreciable warning before a commencement of hostilities. 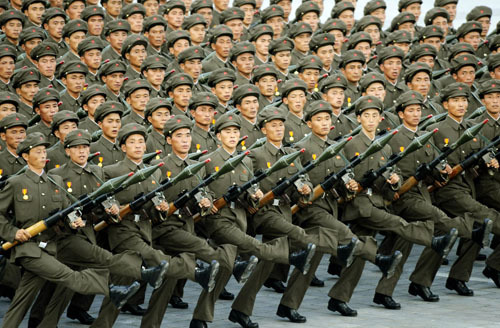 North Korea has approximately 120,000 troops assigned its Special Forces, the largest Special Forces organization in the world. The Special Forces of the DPRK are grouped into 25 brigades of various types to include light infantry, attack, airborne, and sea-born commando units. They have the support of the Navy and Air Force and use high speed hovercraft and other fast maritime craft, miniature submarines and the AN-2 “Colt” which can transport a squad of soldiers and is virtually undetectable to radar. These troops will be tasked to open a “2nd Front” by attacking US military installations in Korea, Japan, Okinawa and Guam as well as by disrupting South Korean headquarters, logistics centers, communications facilities, media outlets and government agencies in particular targeting members of the National Command Authority. The Korean Peninsula is rugged and crisscrossed with numerous streams and rivers. The climate is difficult hot summers and very cold winters. The one time that the North has invaded the South it did so in the summer, June 25th 1950. Well done. Keep it up. I am worried and I think the current policy of appeasement is following the same path of 1930s Europe. Thanks for compiling. I think it’s classic that you post a picture of a North Korean biplane. That needs to be read as: They have zero, count them zero, tanks. And 3800 museum pieces of no use on a modern battlefield. T72s were completely helpless in Iraq. It’s crazy to even mention T55s and T62s. Those tanks are from generations ago. I suspect things like aircraft numbers are equally specious. MiG 21s, perhaps? It’s funny that you make fun of the numbers. I never said that the equipment was first line. However with Seoul only an hour from the DMZ a sudden attack from the North, which maintains about 90% of its force on the border would not be good. 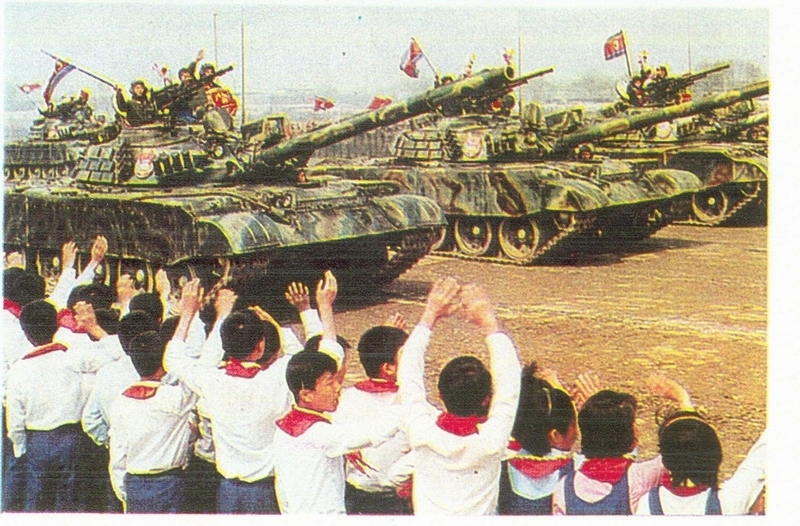 Their tanks would die in great numbers, the South Korean K-1 is an excellent tank. However, the vast amount of artillery and missiles that they can saturate the area between the DMZ and Seoul is a force to be reckoned with. Also those bi-planes that you laugh at are an excellent way to get the North’s special operations troops into the ROK and US rear areas and God only knows what tunnels have not been discovered. It seems that you think that h-tech is the answer to everything. I have been on the DMZ, it is not the Iraqi desert and it favors the kind of forces that the North has in abundance. Remember the Taliban and the Iraqi insurgents had nothing compared to what we can deploy and they have made our lives hell. Never underestimate your potential enemy, it only leads to debacle. While it is true that the North Korean army does possess massive numbers of tanks on paper, the real question is how many of them are actually serviceable. The hardest part of fighting a mechanized war is supplying and maintaining the vehicles. The supply issue is pretty simple due to the short distances involved, however there is no hard data available concerning the number of DPRK tanks that are available on a given date. But I would suspect that they have significant issues with both spare parts and maintenance. Also they lack serious training experiences for the tank crews. With their considerable fuel shortages, I doubt they can both afford to stockpile fuel for offensive operations, and to carry out large-scale peacetime training. I agree with both sides on all points. You both have valdi points. You can trade losing thousands of tanks and men for gaining ground. That is what I would suspect the North Koreans would do to get to Seoul. The North Korean Artillery will in fact make us pay for everything we do if a war starts. They are ready at a moments notice. Now on the other hand lets bring up the ability to influence the ground war with air suppport. We would have total air control within 24 hours. That would end their ability to resupply any ground forces if they had made it a great distance into South Korea. The B-52’s and B2’s bombing the North Korean forces as well as their capital would render them ineffective and they would have to surrender or DIP (die in place). The people of South Korea would also put up resistance and the North would be killng their brothers. That would not go over well within the south. Let’s also remember that China is holding the keys to the oil lifeline–today. The Russians are trying to make inroads into getting into the good graces with North Korea. Many things to think about. North Korean air defenses although old is multi layered and would be a challenge for ANY air force. High tech isn’t the answer in this theater. Remember Vietnam? You can win every battle and still lose the war. I have been to Korea and I’d hate to have to fight a war there. I also don’t think the South Korean people are of the same caliber that they were in the 1950’s. They key is the North Korean navy. 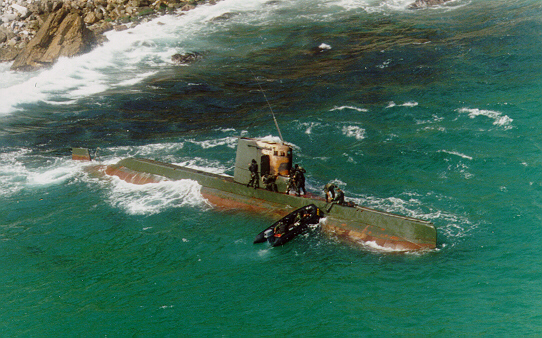 People laugh at their older submarine force. This is a mistake. They operate in shallow water which makes them difficult to detect. This whole conflict could end in a good old fashioned slugfest that could last for years. To compare this theater to the middle east is laughable. Apples to oranges. Never count out China. They DO have an interest in the downfall of South Korea. They don’t want millions of starving North Koreans flooding their borders for one thing. South Korea is an economic rival as is Japan. It would be to their benifit to see these nations fall. what about nuclear bombs? who has more? After dealing with Wiki Leaks thugs all weekend I don’t want to seem short or rude in my response but are you an idiot? Of course the United States has more nuclear weapons that anyone but the Russians. However neither we nor the Russians are in the business of proliferation and are extremely unlikely to use them. 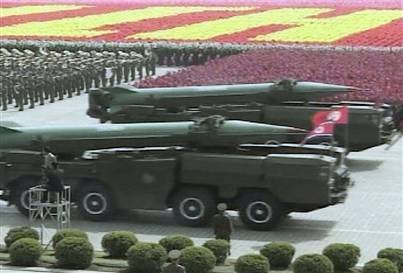 The North Koreans are much more likely to use these weapons against the South or Japan than we are to use nukes against North Korea. I’m sorry but your comment is imbecilic and juvenile. If you are a supporter of North Korea and think that all of this is the fault of the South, the UN and the United States just say so with some conviction rather than trying to be coy. Nation/World History throughout the ages are/were based on greed and ambition; by the haves utilization of the havenots. That is the way of then and now; so it goes in North Korean. Without the fear and strength of the Military, the NK leader could not reign or remain in power. In life, to take on a problem, one must know that problem. Bodies must go where the head leads; if a boxer just hits the head, he will be out scored and loss the fight. One must tireout and make the other bend forward, to deliver the knockout blow. From within NKorea, it’s own people know that a better life exists outside it’s borders; the leader must shine as the Sun, or be blown out as a burning match. That is the greatest danger of this nation, it’s match may want to go in a blaze of glory. One thing you should not forget about are the US forces in Korea. The 8th Army Headquarters, the 2d Infantry Division (Heavy) and the 7th Air Force. While not a supremely heavy force, the 1st Brigade Combat Team and the Apache battalion there can inflict heavy damage in a very short amount of time. Additionally – the 1500 K1 and K1A1 tank is essentially an export version of the US M1 Tank. In all of the Iraqi conflicts, NO M1 or M1A1 tank has been destroyed by an enemy in a tank-on-tank engagement. Properly supplied, I would pit 1000 M1 tanks against 3000 T-72 tanks any day, any time and probably come out ahead. The real threat I see in this order of battle is the overwhelming artillery that North Korea has – if they can effectively deploy it from the DMZ in an early and overwhelming manner – then they can get the advantage. However – if they cannot pull that off (no easy feat) then the slugfest that would follow would very likely come out with a North Korean defeat. Excellent analysis of the likely Order of Battle, for both sides. Conventional Wisdom sees the NKs overrunning Seoul for a few days; and then an overwhelming turn of the tide in favor of SK & the US. I doubt the run-of-the-mill NKs would be very hostile for long — they have to hate the current leadership and system far more than the ‘boogeyman’ tht the U.S. has been made out to be. –so the humble NKorean citizenship may well turn out to be the surprise factor that makes total victory over NK easy and quick.